Did you know that you can make beautiful canvas signs with heat transfer vinyl like the Cricut Iron-On Lite? It’s super EASY! 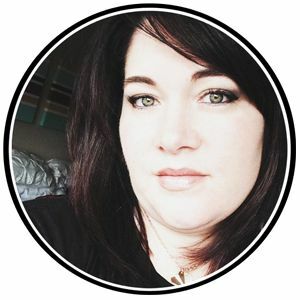 Continue reading to learn how, in my Sign Making 101 series. Plus, you can learn all about the magic of the Danish concept of Hygge! 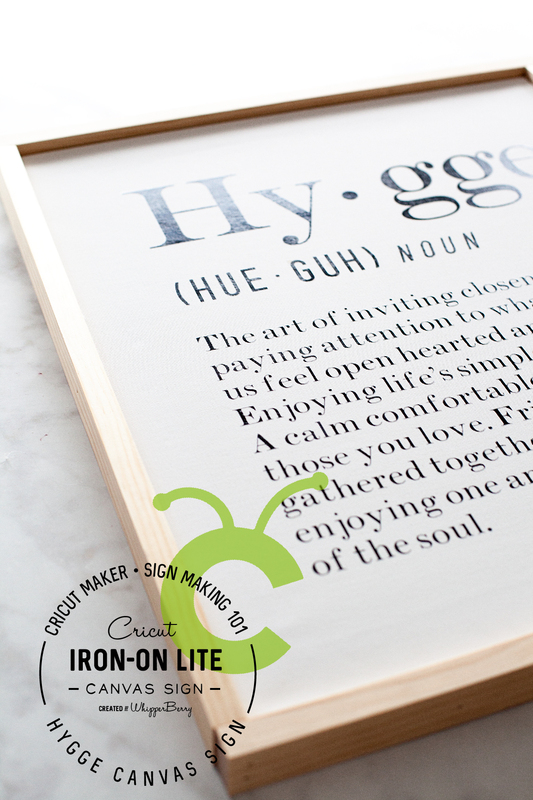 Canvas Hygge Sign designed by WhipperBerry and created with Cricut Iron-On lite along with the Cricut Maker & Cricut Easy Press. 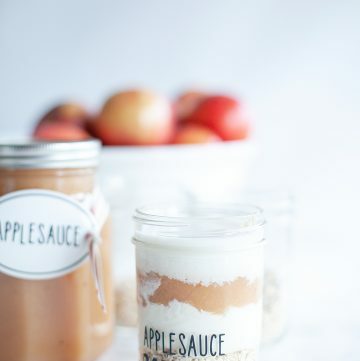 You guys… The Holidays are over (well, we still have New Years) and it’s time to hunker down and create a little more Hygge in our homes to help us get through these cold months. Seriously, It’s supposed to be -38˚ F (that includes windchill of course) this weekend here in Lincoln! We need a little extra cozy to help us weather those types of temperatures. We need something to help us enjoy this time of year rather than dreading it. 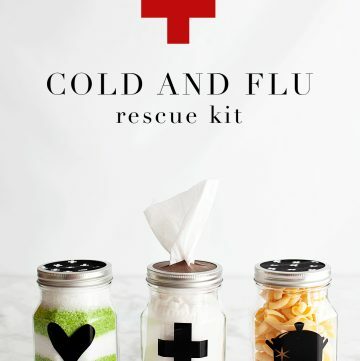 The Danish have come-up with a great concept to help them through this cold and dark months. It’s the concept of Hygge. Directly translated, the word means “fun.” However, in Denmark it means so much more than that. It’s really more of a feeling. That feeling that you get when you are sitting with those you love in a candlelit room, in front of the fire, eating good food, playing fun games or even just reading good books. It’s a time to snuggle-up together, leaving all of the drama behind, a time to build and strengthen relationships, and find joy in the season of your life. You can’t buy hygge, but you can work to create this feeling in your home. I’ve fallen in love with the concept along with the word therefore, I had to make a sign to help those around me understand the feeling we are looking for this winter. Why Use Canvas When Making Signs? My friends… This type of sign making has become my all time favorite way to create signs for my home. It’s clean, modern and works with all kinds of styles. 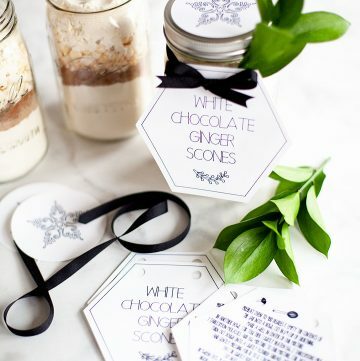 In addition, it is the EASIEST way to make a nice looking sign EVER!!! With wood signs, it involves messy paint, traditional vinyl (which is not my favorite to weed) and a little more room for error. The canvas sign uses heat transfer vinyl from Cricut called Iron-On Lite. It’s super easy to weed (more on weeding in a bit) and adhere to your canvas surface. 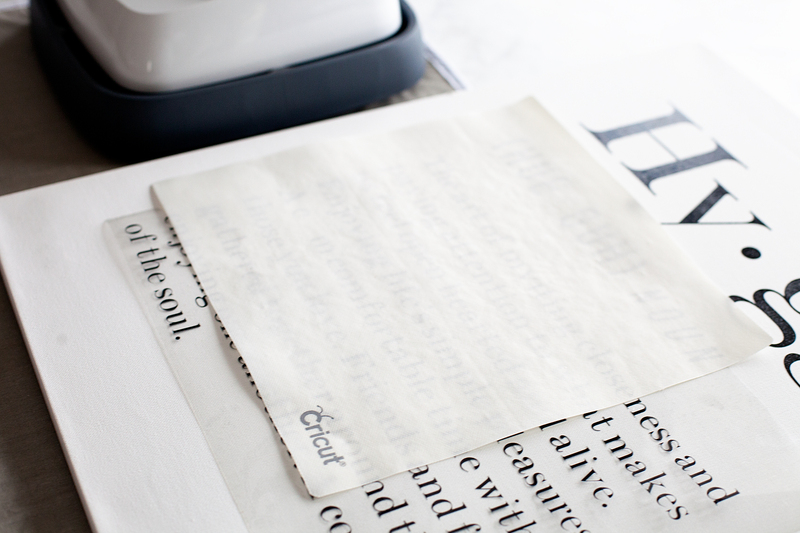 Because of the texture of canvas, traditional vinyl does not work… at all. Believe me, I’ve tried it. Another bonus to creating with canvas rather than wood… It’s much lighter. I created a ton of wood signs a few years ago for a creative market. My husband and I nearly killed ourselves loading the signs into the building because they were so heavy. I truly wish I would have figured this out before hand. After making a few canvas signs with Cricut Iron-On Lite I’ve come up with a list of tips and tricks to help make the process smooth for you. 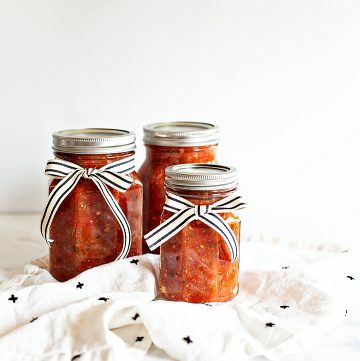 Take your time – As with pretty much any creative endeavor, rushing has never produced wonderful results. Take your time and you love what you end-up with. Do not iron directly on protective film – This is the clear plastic that the heat transfer material comes on. Ironing or using the Cricut Easy Press directly on this film will cause scorching of your materials and will create undesirable results. 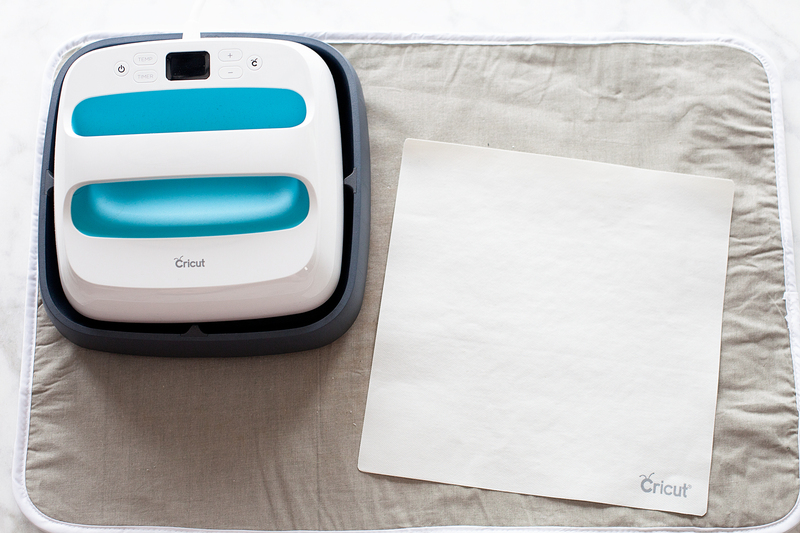 Always use the Cricut Protective Sheet when doing any type of iron-on project. Cover material with light cloth or Cricut Protective Sheet – Again, you want to protect the surface of your canvas along with the heat transfer vinyl. Place books under the canvas to create a firm surface – Canvas is traditionally stretched on a frame and if you were to press directly on the canvas, you would stretch the canvas and your sign would turn out really wonky. 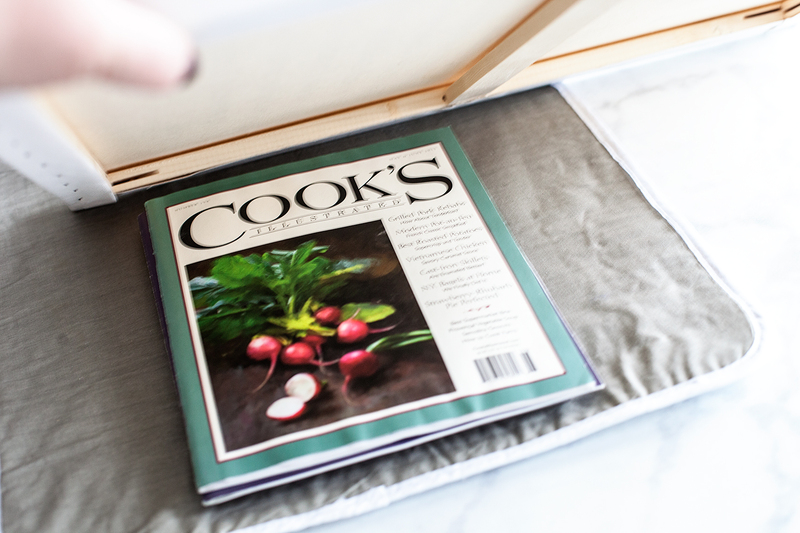 My trick… Place a book or a few magazines under the canvas to create a firm surface for you to work on. Apply pressure when ironing – It really helps to put a little pressure on the Cricut Easy Press or your iron to achieve the results that you are looking for. 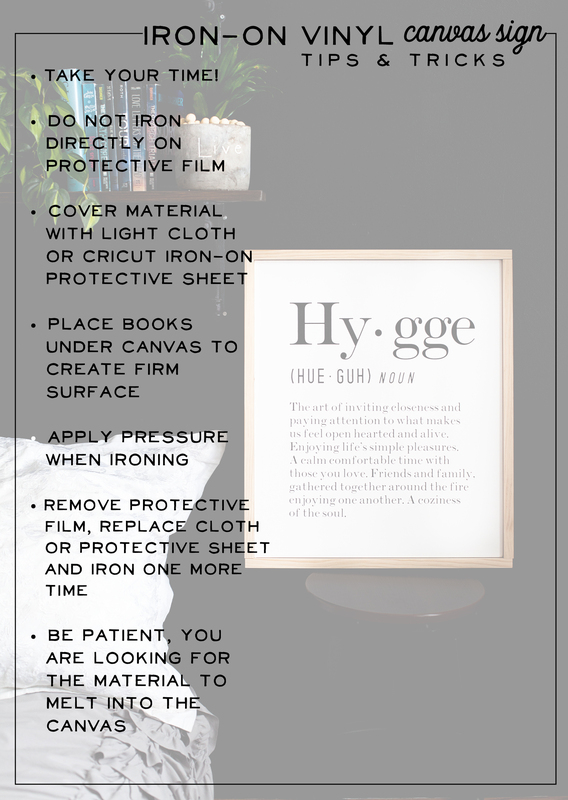 Remove protective film and replace Cricut Protective Sheet or cloth and press one more time – This will make sure that the HT vinyl has fully adhered to the canvas. Be patient – You are looking for the Iron-On Lite to melt into the canvas or really whatever material you are using. 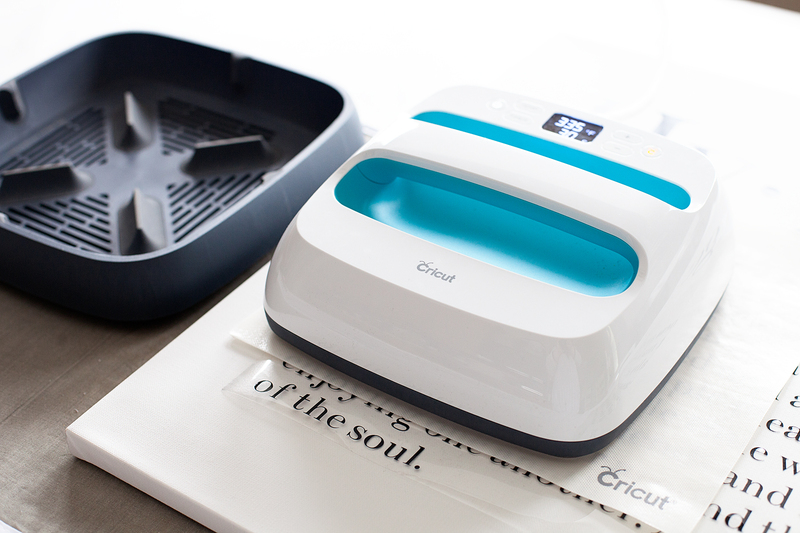 Take a little time, especially if you are using an iron rather than the Cricut Easy Press. Typical clothes-irons don’t have a consistent heat plate so you are going to have hot spots and cools spots. Therefore, it’s going to take a little extra time to get full adhesion. 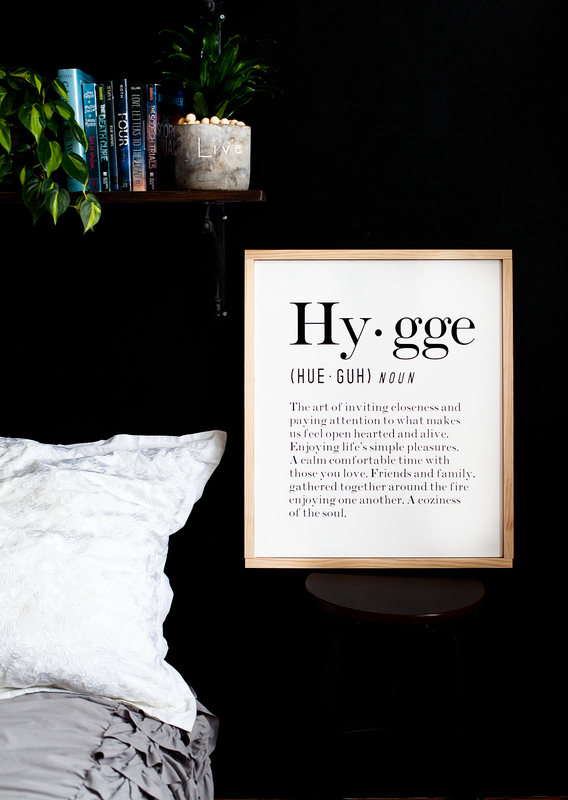 Of course you’re going to need the design for this Hygge sign. I created the whole thing in Cricut Design Space with Cricut fonts so it’s easy to share with you guys. • Includes multilayer images, single-layered images, 3D projects, and much more! That is a great deal, especially if you love to create. 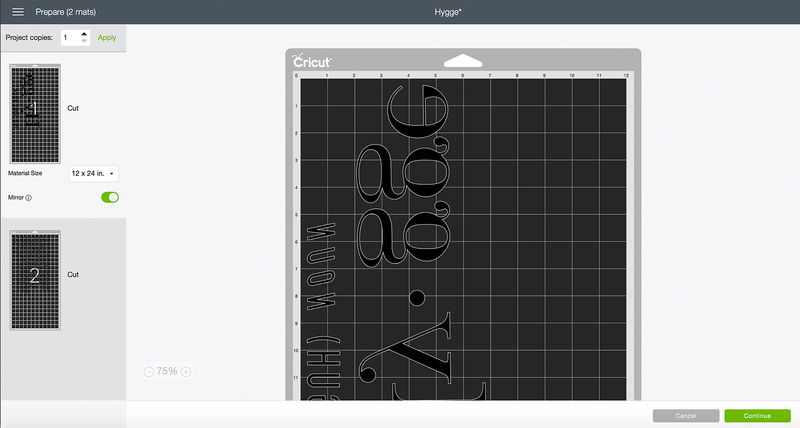 Now, not everything is included in Cricut Access. Some images and fonts have a special license, and therefore, they can’t be included. 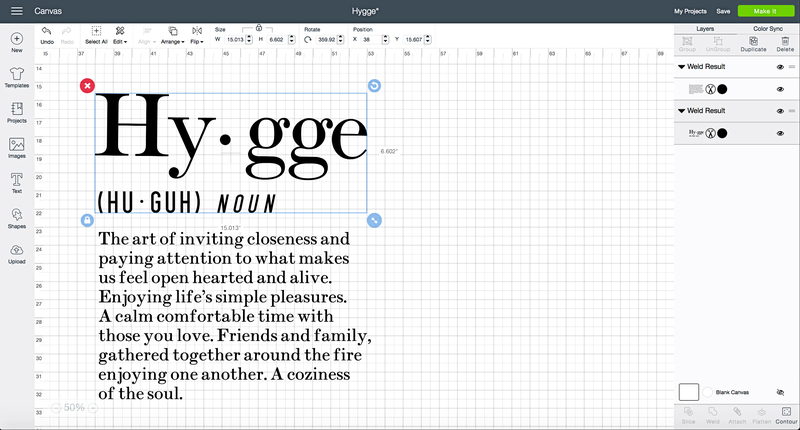 One of the fonts I used for my Hygge canvas sign is a paid font BUT… Once I purchase the font, I will have it forever in my Cricut account. Guys… This is so easy. All you need to do is open Cricut Design Space HERE to open the design. Size the design to the size of your canvas. My canvas is rather large so I broke the design into 2 pieces and turned it sideways so that it would fit nicely on a 12×24 inch cutting mat. As long as the design is sized right, load your Cricut Iron-On Lite into your machine and click the Make It button. Your design will load into the Prepare Mat screen. Now, this is VERY IMPORTANT! On the left side of the screen, you’ll see a button that says MIRROR. 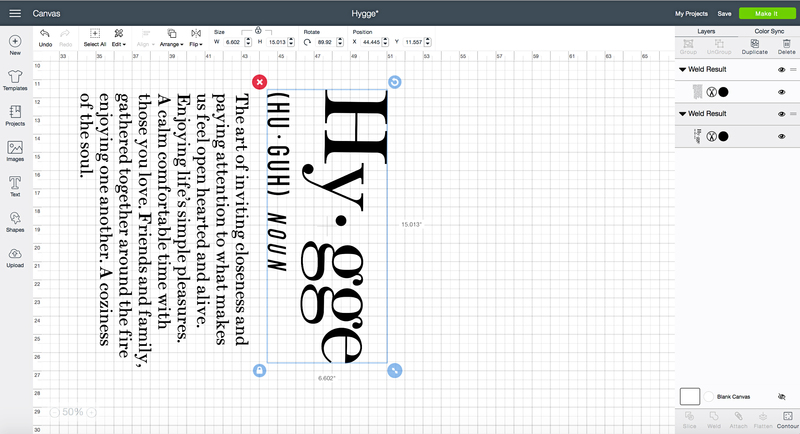 Click on that slider button and watch how your design flips and becomes mirrored. 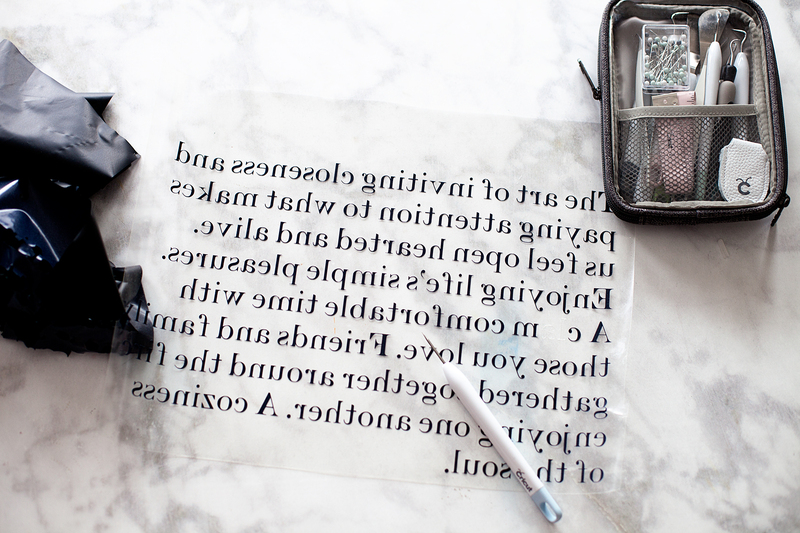 When using Cricut Iron-On Lite, you need to mirror your image because of the way the heat transfer vinyl works. The actual vinyl lays on a clear plastic sheet with the side of the vinyl that is meant to be melted into your surface facing up. Many people get confused as to which side of the material to cut on. You want to make sure the shiny side of the Iron-On Lite is face down on your cutting mat with the matte side of the vinyl facing up. With your image mirrored and your vinyl correctly placed on your mat, you are ready to cut your design. Click on the Continue button, connect your machine, select your cutting material which is Iron-On, load your mat into the machine. When the Cut button on your machine starts flashing, press it and your design will start cutting. 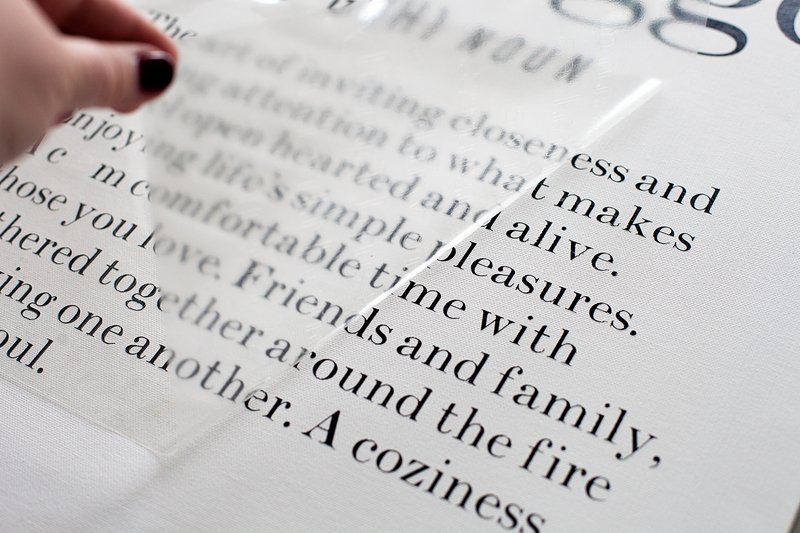 When your design is finished cutting, remove the mat from the machine, remove the iron-on vinyl and weed your design. What does weeding mean? That is when you use one of the great Weeding Tools that Cricut makes to remove the excess vinyl from your design leaving only the design itself. Next, you’ll turn on your Cricut Easy Press or your iron and prepare your canvas. When I’m using my Easy Press, I use either a towel or a protective heat mat that I found in the laundry section at Walmart, placing that on a firm surface like a counter top, or table, NOT an ironing board. They aren’t firm enough. Then, I grab a book or a stack on magazines to place under the canvas, like I talked about before in the tips and tricks section. Then press your design with the Easy Press or your Iron. 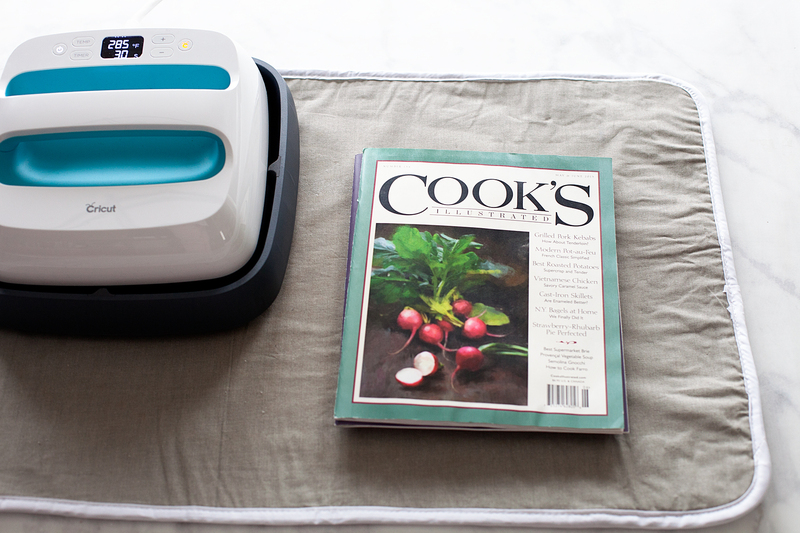 I set my temperature on the Easy Press to 350˚ and let it do it’s thing for about 40-50 seconds. You need to be careful not to let it sit for too long, the vinyl will melt in a way that you won’t like. If you are using an iron, this will take a bit longer, just be patient. Continue pressing the vinyl until you have covered the entire design. Let cool for a few seconds then, remove the protective film and voilá, you have a beautiful new canvas sign for your home! If you would like to add the frame, all you need to do is hot glue the frame pieces onto the canvas, one at a time. I place my canvas on top of a stack of three ball jar lids. A stack of three in each corner. That seems to be the perfect placement for adding the frame. Glue one of the frame sides onto the canvas then firmly attach it with the brad nailer while the glue is still warm. Move onto the next side until you have completed all four sides.